It’s that time of year again, Burghley Horse Trails! Burghley is possibly the only equine competition I watch every year. I’m not sure why this is, maybe because it is so close to me, or maybe it is the amazing history behind it… either way, I always make sure I watch the cross country and show jumping phases on TV if I cannot make it up there! This year I am hopefully going to Burghley house to watch the cross country phase. However, as great as it is being close up to some of the more challenging fences, I always feel like you miss a lot of the action as you can’t see the whole round. Because of this, I am really excited about Burghley TV. Burghley TV shows you everything you could possibly want to see! It has all the horse and rider combinations dressage, show jumping and cross country phases as well as extra videos, such as a cross country course walk with Mark Philips. Some of you may know, that I really love the New Zealand eventing team. I think this partly stems from the fact that my dad is from New Zealand, but mostly due to the amazing riders Mark Todd and Andrew Nicholson. 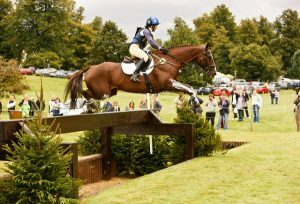 I am a little down hearted by the fact that of the 11 Kiwi entries for Burghley, only 4 are now set to compete. No one can Blame Andrew Nicholson for withdrawing his three rides after his recent injury! In fact, I think he is some kind of God for being back in the saddle already! But I would like to see more Kiwis at Burghley. 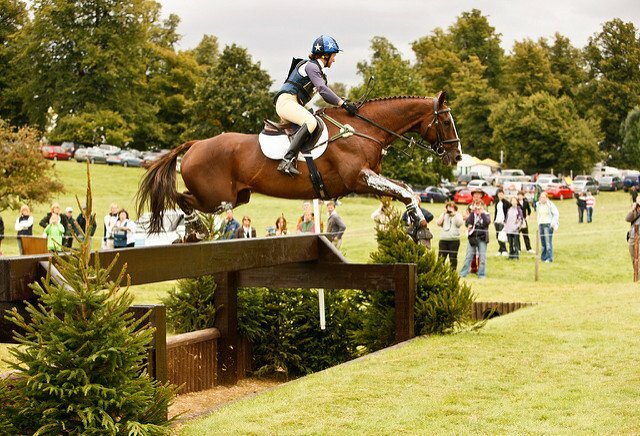 Is there anyone in particular you will be watching during this Burghley weekend? Yes oh my goodness! Equestriad! !And also Mary King’s Riding Star!